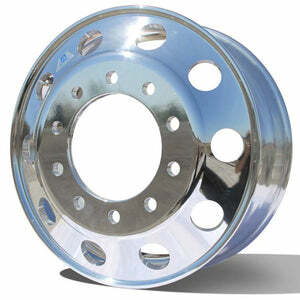 22.5" x 13.00" Hub Piloted 10 Hole Accuride Super-Single Aluminum Wheel. This is a Flat Faced wheel used for a steering position. Not approved for a drive or trailer application Comes in Standard Polish 29376SP or Polished 29376AOP.